Gathering your friends every now and then for a night of fun can help you feel invigorated to take on busy days ahead. This weekend, get your friends all glammed up for a night of lovely concoctions and a fun-filled dance fest. 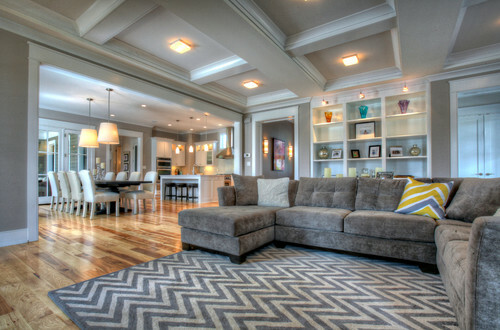 Arrange your living room furniture so that guests can move throughout the area easily. Push big couches and other bulky pieces against the walls to open up floor space, if necessary. Remove area rugs to make room for a dancing area. The rule of thumb is three square feet of dance floor per dancing guest, so tuck away any thing that might get in the way of dance moves. Scatter a few podium bar tables where guests can gather around to encourage party movement and conversation. Setting up these mini tables also provides space for people to put down their drinks in case they want to dance or need to go to the powder room.